Here's all you need to know about the Baramulla and Jammu Lok Sabha seats from Jammu and Kashmir. New Delhi: A traditional bastion of the regional political party of Jammu and Kashmir-the National Conference, the Baramulla parliamentary constituency is one of the six Lok Sabha seats in J&K. The total number of electorates in the Baramulla Lok Sabha constituency according to the Election Commission of India 2009 report are 1,054,496 of which 550,443 are males and 504,053 are females. The sitting MP is PDP’s Muzaffar Hussain Baig, who will contest the election against the National Conference’s Mohammad Akbar Lone, BJP’s Mohd Maqbool War and Haji Farooq Ahmad Mir of the Congress. Muzaffar Hussain Baig had routed the JKNPP’s Sharief-Ud-Din Shariq by nearly 29,000 votes in the 2014 Lok Sabha elections. The Baramulla Lok Sabha constituency is spread over the districts of Kupwara, Bandipur and Baramulla. Fifteen Vidhan Sabha segments comprise this constituency, out of which Uri, Pattan, Sopore, Baramulla, Gulmarg, Rafiabad and Sangrama are in the Baramulla district, while Karnah, Kupwara, Handwara, Lolab and Langate are part of the Kupwara district. The remaining three segments are part of the Bandipur district. The Lok Sabha constituency of Jammu is a political jewel out of the six Lok Sabha seats in the state as Jammu is the winter capital of Jammu and Kashmir. This constituency covers the geographic locales of four of the 22 districts that belong to Jammu and Kashmir- Jammu, Rajauri, Samba and Poonch. As many as twenty Vidhan Sabha segments comprise this seat of Jammu. 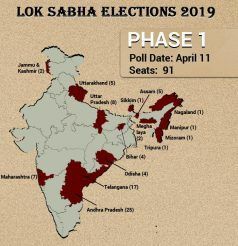 Out of these assembly segments, 11 fall in the Jammu district, three in the Poonch district, two in the Samba district, and four in the Rajauri district. The Jammu Lok Sabha seat came into existence in the year 1967. It has been a stronghold of the Congress since its inception, although Bharatiya Janataata Party has won a few times. BJP’s Jugal Kishore is the sitting MP, who will contest the 2019 LokSabha elections against Congress’ Raman Bhalla, Badri Nath of the BSP and Shiv Sena’s Manish Sahni. 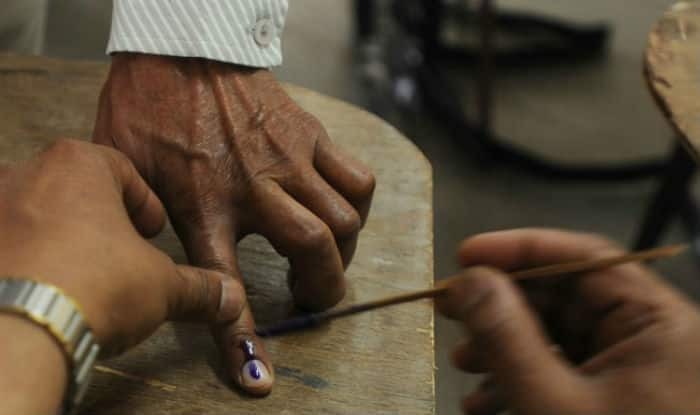 The total number of electorates in the Jammu Lok Sabha constituency are 1,719,897 of which 889,091 are males and 830,806 are females, as of 2009 report of the ECI.